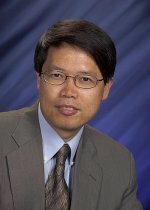 Congratulations to Pacific Northwest National Laboratory's Dr. Yuehe Lin on being named to a second term on the advisory board of Talanta. This long-standing international scientific journal publishes original pure and applied analytical chemistry research. As a member of the board, Lin reviews submissions and advises the editors to accept, reject, or suggest changes to the submittals, driving high-quality results into the scientific literature. Lin was asked to continue on the board because of his diligence, thoroughness, and expertise in nanotechnology, particularly in developing nanobioelectronic devices and nanomaterials for biomedical diagnosis and drug delivery. He is also known for developing microanalytical systems to perform environmental and biomedical analyses, and synthesizing nanoengineered catalysts for fuel cells as part of PNNL's Institute for Integrated Catalysis and as a user at the Department of Energy's EMSL. Lin has been actively serving on international scientific community for many years. After finishing his first term as the North American Editor of the Journal of Nanoscience and Nanotechnology, Lin continues to serve for the journal as an Associate Editor. Lin also serves on the editorial advisory boards of 15 other international journals.